Having your tennis court professionally cleaned annually is an excellent way to protect your investment. Over time tennis courts will start to show signs of age. Depending on the type of surface and location things such as moss, algae and dirt can make the playing surface slippery, even unplayable and unattractive. Our professional equipment and methods will greatly improve drainage as well as extend the life of your playing surface. Slippery and dangerous courts surfaces will be restored to their former glory and made safe for play. 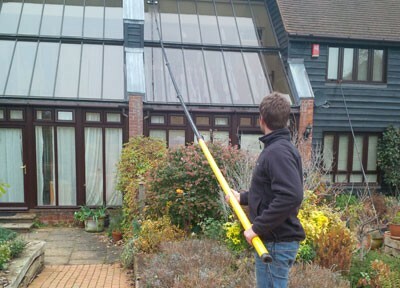 Our service is carried out by fully trained and highly experienced staff, who use the latest state-of-the-art power washing equipment, we use no harmful chemicals. Please note that we use high volume based water washing as high pressure washers can do serious damage to the quality of the playing surfaces. To get a no-obligation free quotation please contact us today.